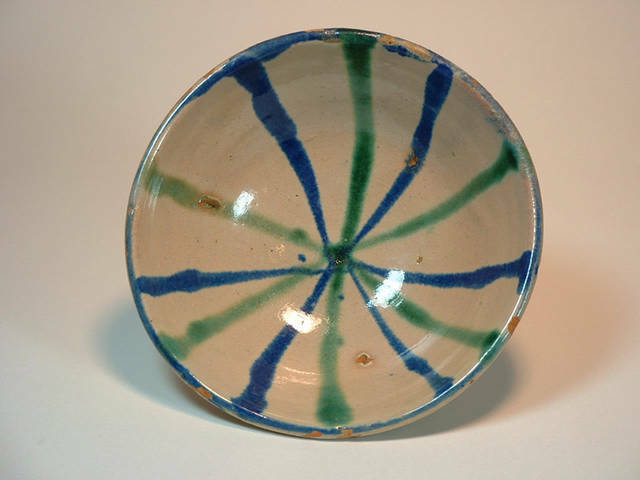 Description: Early 19th century Spanish polychrome blue and green bowl. Highly collectable, especially in this condition. No cracks. 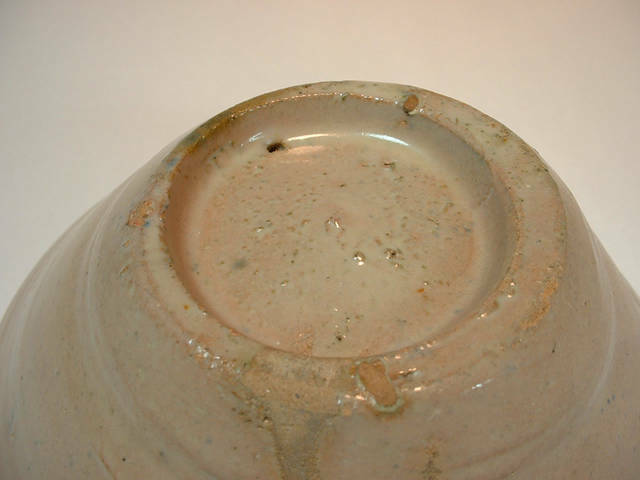 some flaking as shown, but little loss of clay body. 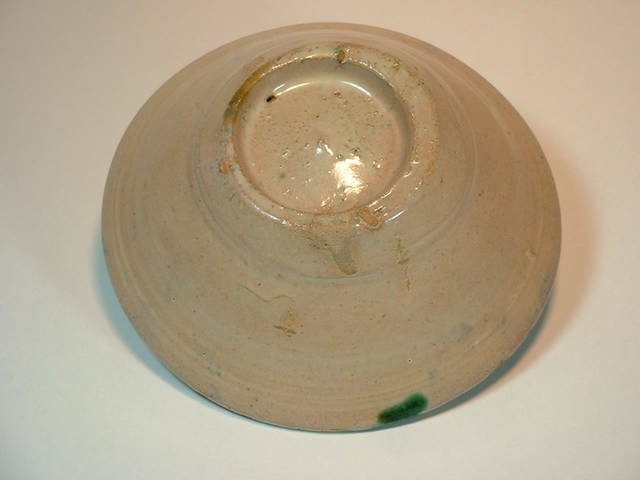 Tin glazed, 6.5 inches in diameter. Probably made in the Granada area. Unrestored.